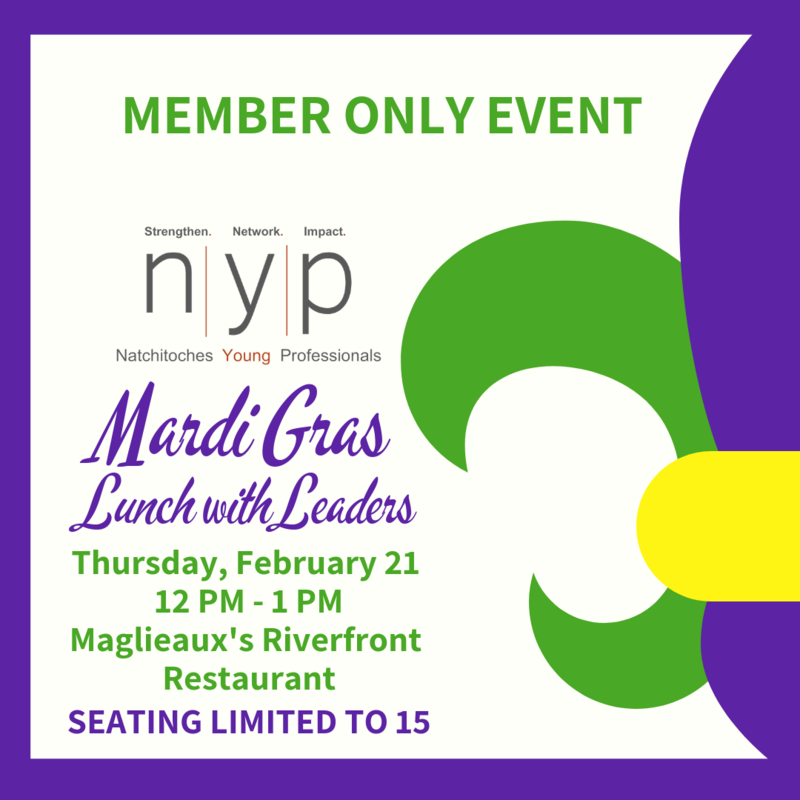 Join us for our February Mardi Gras themed Lunch with Leaders! We will be hearing from our three local Mardi Gras Krewes. Krewe of Dionysos Captain Jerry McElwee, Krewe of Saint Denis President Steve Horton, and Krewe of Excellence founding member Ralph Wilson. Lunch is $15 and limited to the first 15 NYP members that register. Lunch options TBA. You must be a paid NYP Member to register for this event. All NYP memberships are due as of January 1, 2019. To pay your dues, click here.